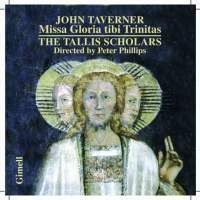 Phillips returns to the Mass nearly 30 years on Almost 30 years after their earlier recording of the work, Peter Phillips and The Tallis Scholars return to what has to count as the most gorgeous of all early Tudor Masses. There are plenty of reasons to do so. Not just the technical improvements of the years but also Phillips’s own evolution as a conductor. Of the earlier version I wrote in these pages that what I really liked was that ‘Peter Phillips…reads the work with passion, energy and individuality’. Now he and I are both older, and I far prefer the more relaxed attitude of the new version, allowing every detail to come through with clarity and precision but never pressing too hard. To fill out the disc he has added a rarity: all three of Taverner’s Magnificat settings. They are in four, five and six voices and make an intriguing juxtaposition, not least because none of them shares anything with the style of the Gloria tibi Trinitas Mass. But even more interesting is that it looks as though Phillips has his eye on building up a new intégrale of Taverner’s music. I very much hope so. The passage that I cannot hear too often is the ‘Crucifixus’ of the Mass with the sopranos Janet Coxwell and Amy Howarth duetting above a single bass-line. Those two may be the key to the loveliness of this issue; and they have amply merited their photograph on the back of the booklet.